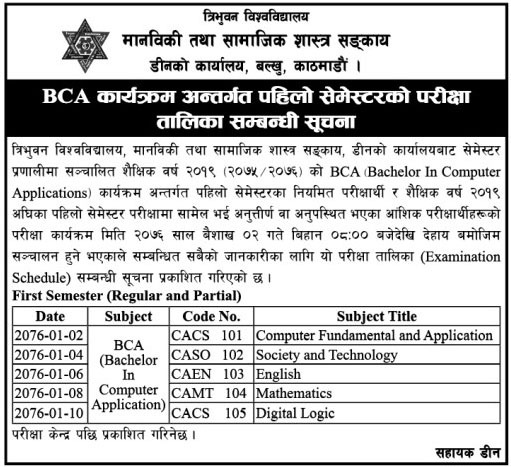 BCA First Semester Exam Routine TU: Dean Office, Trivubhan University, Balkhu published BCA (Bachelor in Computer Applications) First Semester Exam Routine for the academic year 2019. Exam starts from 2076/01/02 to 2076/01/10 at 8:00 AM and exam centers will announce later. Check complete exam routine of BCA first semester below.